Downtown Appleton merchants are busy preparing their stores for holiday gift-giving, paying extra attention to the specials they’ll be offering customers on Nov. 29 – Small Business Saturday – a national day founded by American Express that encourages people to shop at small businesses on the Saturday after Thanksgiving. The free passport promotion, offered in partnership with East Wisconsin Savings Bank, Fox Communities Credit Union and North Shore Bank, features over 80 participating small businesses in both Downtown Appleton and throughout the City of Appleton. Here’s how the promotion works: As shoppers make purchases at participating businesses, they present their passports to earn a stamp. For every five stamps received, shoppers earn one chance to win prizes. The more stamped passports accumulated the more chances a shopper has to win. 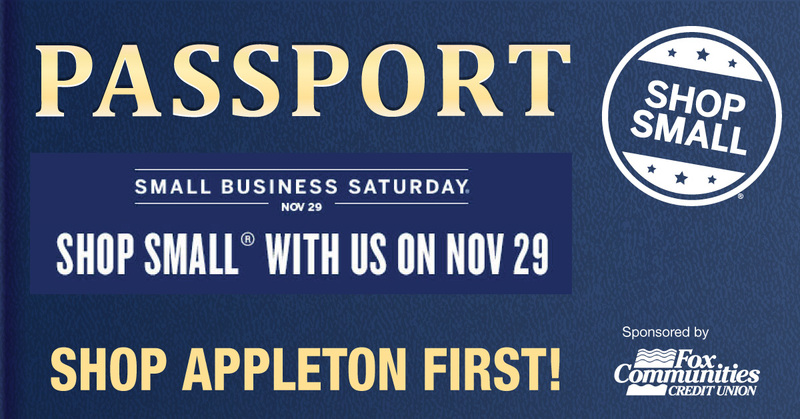 After receiving five stamps on their passport, shoppers are encouraged to turn their stamped passport into the retailer on their last stop to be entered into the “Shop Appleton First Small Business Passport” drawing. All entries submitted will be randomly chosen for a chance to win from over $1,000 in prizes. Complete passport promotion details, including a listing of participating businesses are printed on each passport. A special insert highlighting the promotion will also be featured in the Thanksgiving Day and Black Friday editions of The Post-Crescent. Passports are now available at participating retailers in Downtown Appleton; at the Indoor Winter Farm Market inside the City Center Plaza on Saturday mornings; and during regular business hours at Fox Communities Credit Union on Calumet Street and Wisconsin Avenue. Limited quantities of the free passports are available. “We are excited to be a part of this new Small Business Saturday promotion,” noted Anne Wiegman, ADI marketing director. 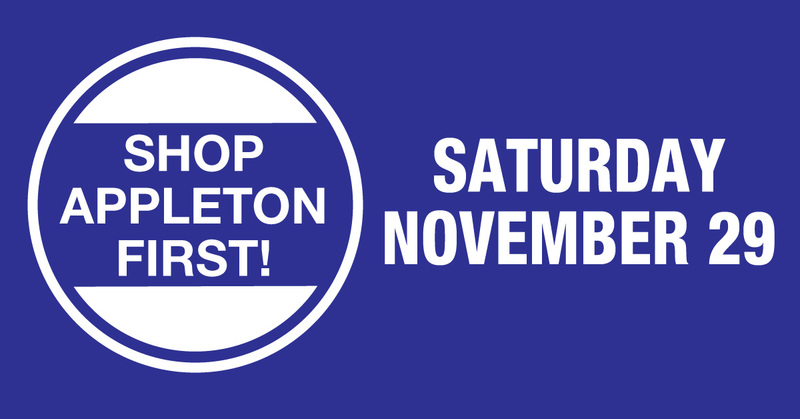 “Downtown Appleton is made up of 95 percent locally owned businesses that offer many one-of-a-kind items that are perfect for gift-giving and this promotion is a perfect way to help showcase the uniqueness of small businesses located Downtown and throughout the City of Appleton.